Making Dog Treats? Go Into Business! 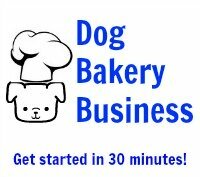 Are you making dog treats and want to turn your hobby into a business? Entrepreneurs can capitalize on the hottest trends discussed here. The demand for the dog treat business is growing by leaps and bounds. The next time you visit your favorite pet retail store, take a look at the dog treat section. It is likely very large. There are all kinds of treats offering all kinds of benefits. You just need to know how and where to focus so that you can capitalize by giving people what they want, not what you think they need. (Please go back and re-read that last sentence). Consumers will easily spend money on something they know they want, but they will not spend money on things that you think they should want. Note: The discussion below is for general knowledge. The government rules for people foods and the dog biscuit business are different and quite complex. This information is provided to help you understand basic principles only. You should always check with a qualified professional when making ingredient decisions. Think about it. As you go into your local grocery store, don't you see special advertisements and even whole sections devoted to "All Natural" products? This is big in the people food industry and it is just as big, if not bigger in the dog treat business. After the pet food scare from tainted Chinese imported food, pet owners have been seeking healthy alternatives for their loved ones. Have you done some basic internet research about dog foods? It seems most of the commercial dog foods, even the "good" ones, are full of chemicals that fake nutrition content for their labels but are truly full of fat and fillers, both lacking in nutritional value. Now, a little bit of bad news. There is no legal definition of what is "all natural." The Food and Drug Administration gave up on trying to define this for people foods for reasons far too complex to discuss here. But, what you need to know is that there is no legal definition of what "all natural" means when it comes to making dog treats either. Generally, it seems to be commonly accepted that "all natural" means what you would expect it to mean. Natural ingredients are ingredients we find in nature. Grains, honey, corn, etc. If you feel that you need a chemistry degree to pronounce an ingredient, you can bet that it is not all natural. But this makes it pretty easy to find good ingredients when developing your healthy dog treat recipes. "Clean labels" sounds like you need to be tidy, wash behind your ears, and don't even think about trying to sell a product that has chocolate fingerprint stains on its label from your last Snickers break. Well, that is surely good and necessary advice but it is not what is meant by the term "clean labels." "Clean labels" refers to ingredient lists on labels that customers can read and understand without having to earn a chemistry degree. This means, when making dog treats, that you put together an ingredient list of five to ten easily recognizable ingredients. 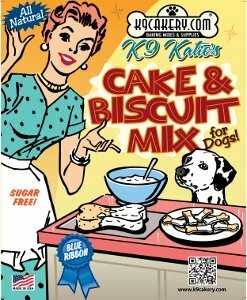 "Whole wheat flour, natural peanut butter, honey, dried egg whites, baking soda" sounds a whole lot better in the dog biscuit business than the label on a commercially baked box of treats. Just go into your cupboard and pull out a box of cereal or cake mix and read the ingredients. This may take some time because most of thesw products have a long list. Almost universally, one of the first ingredients will be sugar. Another term you should know when making dog treats is GMO. This stands for Genetically Modified Organism. A genetically modified organism (GMO) or genetically engineered organism (GEO) is an organism whose genetic material has been altered using genetic engineering techniques. This refers to ingredients such as grains that are grown from seeds that were developed in a lab as opposed to naturally occurring in nature. Consumers predominantly want "Non-GMO." "GRAS" is an acronym for the phrase Generally Recognized As Safe. Under sections 201(s) and 409 of the Federal Food, Drug, and Cosmetic Act (the Act), any substance that is intentionally added to food is a food additive, that is subject to pre-market review and approval by FDA, unless the substance is generally recognized, among qualified experts, as having been adequately shown to be safe under the conditions of its intended use, or unless the use of the substance is otherwise excluded from the definition of a food additive. Okay, we know what you are thinking, "you can't buy love," right? What we mean by "love" when you are making dog treats is closer to showing reciprocal gratitude for unconditionally being there for me and making me feel loved and letting me give my love. In effect, when it comes to dogs, you can in fact "buy love." After all, how did you get your dog? Many people buy them from a pet shop or pay fees to a rescue organization. But their investment changes their lives for the better. We all get a warm feeling in our heart when we see a wagging tail or a pair of big puppy dog eyes. The need to reach out and pet a happy dog is almost an involuntary reaction, like blinking or breathing. You just HAVE to do it! So how does that translate into making dog treats and going into business? This is an easy one. If you make healthy and pretty treats available, dog owners will pay many times more for them than they would for commercially available treats that they don't believe to be healthy. Giving a nice treat to a dog is one way of saying "thank you, I appreciate that you are always there for me and continually express your love every day." And a pretty treat makes people feel even better about their purchase. So there you have it. Making dog treats natural, with clean labels, that express love is the way to success in the dog bakery business.